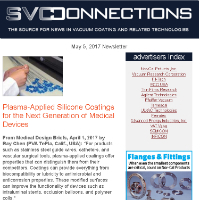 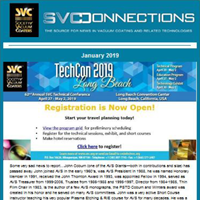 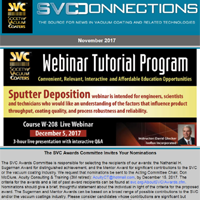 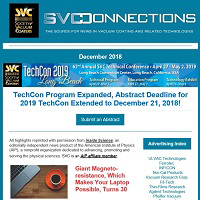 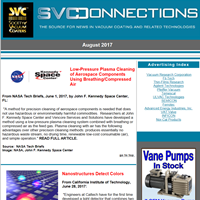 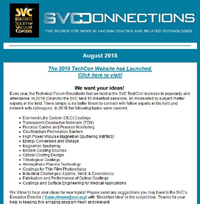 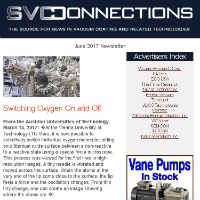 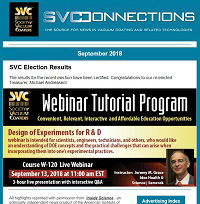 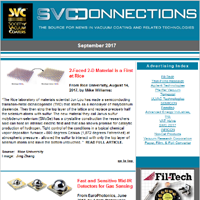 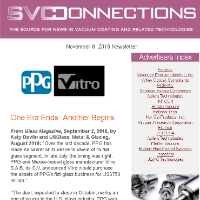 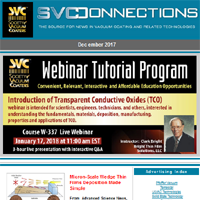 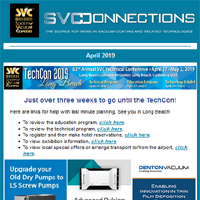 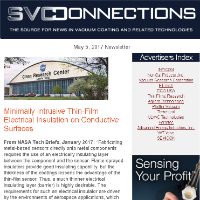 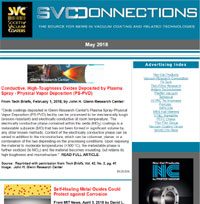 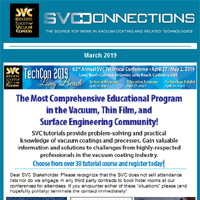 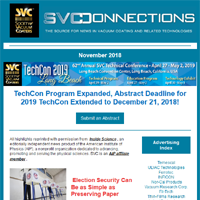 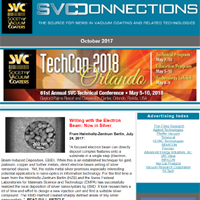 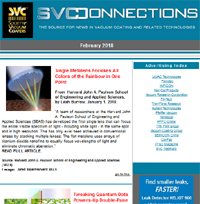 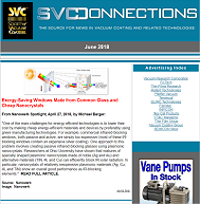 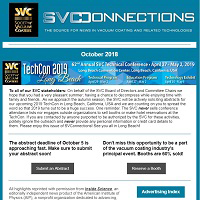 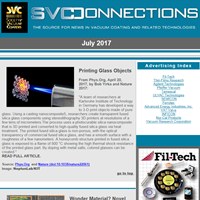 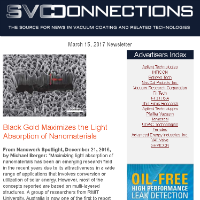 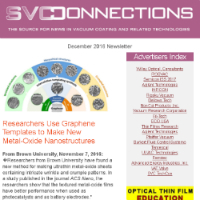 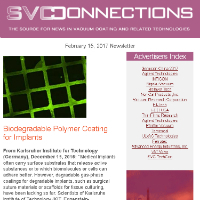 SVConnections is a monthly e-newsletter, dedicated to informing our readership about the latest in vacuum technology and industry news, important Society announcements and global discoveries that affect our economic and personal future. 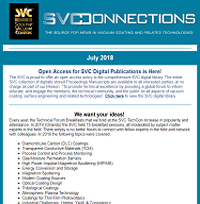 Deployed the first Wednesday of each month, SVConnections is distributed to our entire database of vacuum coating professionals and experts. 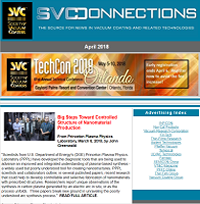 We welcome article suggestions for future SVConnections issues from our readership! 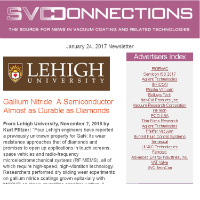 Forward us a link to an article you would like to share with the rest of the SVC community to svcinfo@svc.org.